After their first test for 2019 at Circuito de Jerez Ángel Nieto with their recruit Alessandro Delbianco, Althea MIE Racing Team revealed the new colours for their Honda CBR1000RR SP2 at Moto Dei Miti in Civita Castellana (Italy). 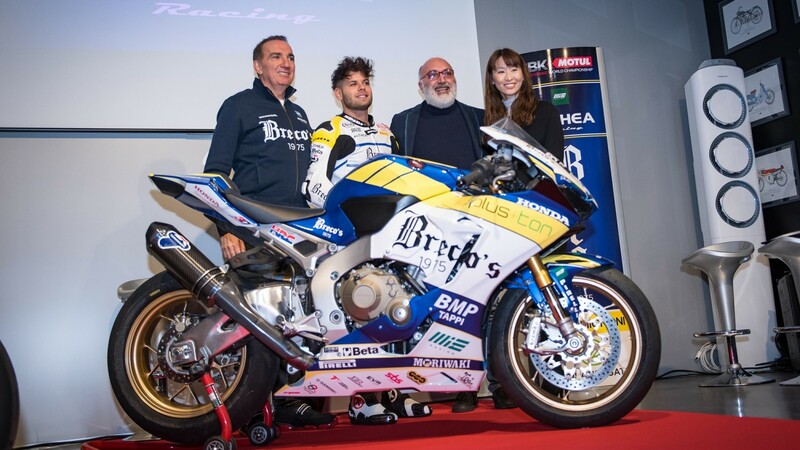 Painted in blue and yellow with a predominance of white, Althea MIE Racing’s new bike was unveiled in front of the team partners and fans, and the Italian squad also presented their new project that will see the 21-year-old rider make the debut in WorldSBK after a strong 2018 season in STK1000 with the same team managed by Genesio Bevilacqua. Keep up with how Althea Mie Racing Team will get on in the 2019 WorldSBK season all with the WorldSBK VideoPass.